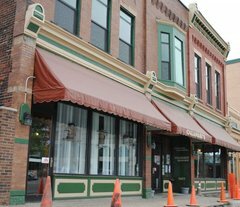 Sat., June 18, 6 p.m. to 1:00 a.m.
Home field this year for the Walk’s kickoff and Reception will be Calamari's Restaurant, 1317 State St., with jazz and blues bands at various downtown locations as always, and a $10 suggested donation for the festivities. Confirmed venues at this time include 814, at 814 State St.; The BrewErie at Union Station, 123 W. 14th St.; Calamari’s, 1317 State St.; PACA, 1505 State St. (2nd floor); The Plymouth, 1109 State St.; the Docksider at 1015 State St.; Lavery’s, 128 W. 12th St.; and Scotty’s Jazz & Cigars, 301 German St. Additional venues may be added. Six-string bassist and international star Tony Grey will headline the flagship show at Calamari’s. Grey comes with a backstory. Born in Newcastle, England, Tony came from a musical family which included the legendary guitarist, uncle John McLaughlin. 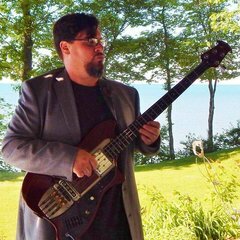 Tony picked up his first bass guitar only after suffering a near-fatal accident at age 18. Learning the bass helped Tony survive his rehab from a fractured spine and turn it into something positive. Active oversight from Uncle John helped. 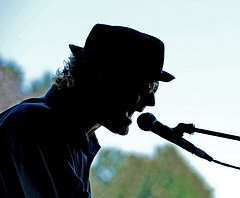 Tony’s interest led to admission to Berklee College of Music in Boston. While there, he helped form the pop band “Bliss” which caught on, toured throughout Asia, filmed MTV videos, made a CD. After experiencing this success, Tony returned to Berklee to complete his degree, receiving an “Outstanding Performer” award on graduation. Since graduating, Tony has maintained a close relationship with the school ,and has initiated his own online educational program while continuing to perform. He has authored two method books for 6-string bass. 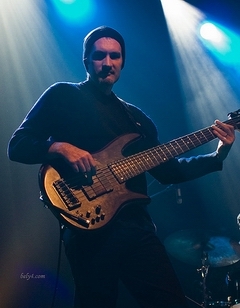 Perhaps best known for his four + years of touring and recording with pianist Hirome, Grey has played with a stunning list of other great jazz artists, including, of course, John McLaughlin, plus Herbie Hancock. Wayne Shorter, Gregoire Marat, Branford Marsalis, David Fiuclynski, Lionel Loueke, and many, many others. Solo albums in 2004, 2006, 2008 and most recently 2014 “Elevation,” with a band including McLaughlin, Mike Stern, David Fuclynski and others. Awards include Berklee’s “Outstanding Performer,” an “Outstanding Contribution to Jazz Education” award by the International Association of Jazz Education, and, for his album “Unknown Angels,” a Jazz Album of the Year” award from Independent Music Awards. 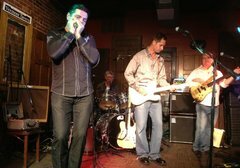 The Duke Sherman Blues Band will be appearing at the Plymouth. Time to be announced. Ron Yarosz will appear at the Docksider form 7:30 p.m. until 9:00 p.m.
Joe Dorris will appear at 814, time TBA. 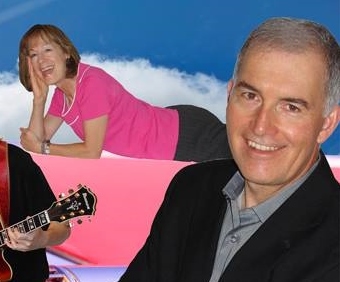 Jim Madden and Marilyn Livosky will be at the BrewErie from 8:30 to 11:30 p.m.
Steve Trohoske and Friends will appear at Scotty’s from 10:00 p.m. until 1:00 a.m.
Additional bands will be announced as arrangements are confirmed. Watch www.jazzerie.com.